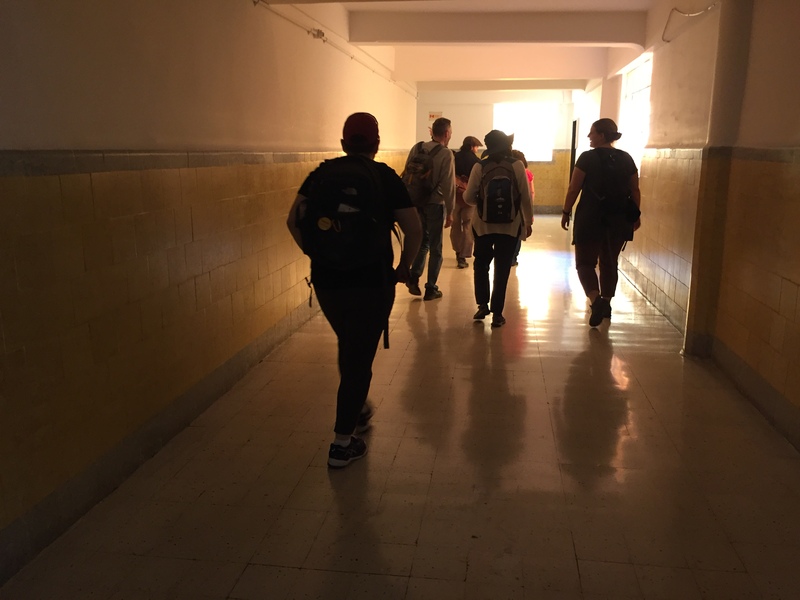 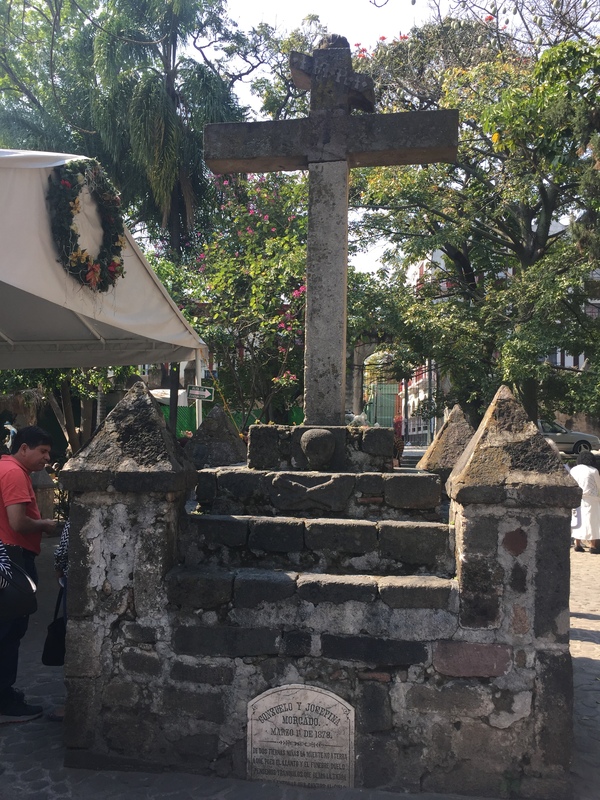 This is the fourth in a short series about my two week Spanish language and social justice immersion program in Cuernavaca, Mexico, with Pacific School of Religion‘s Center for LGBTQ and Gender Studies in Religion (CLGS) and CILAC Freire. 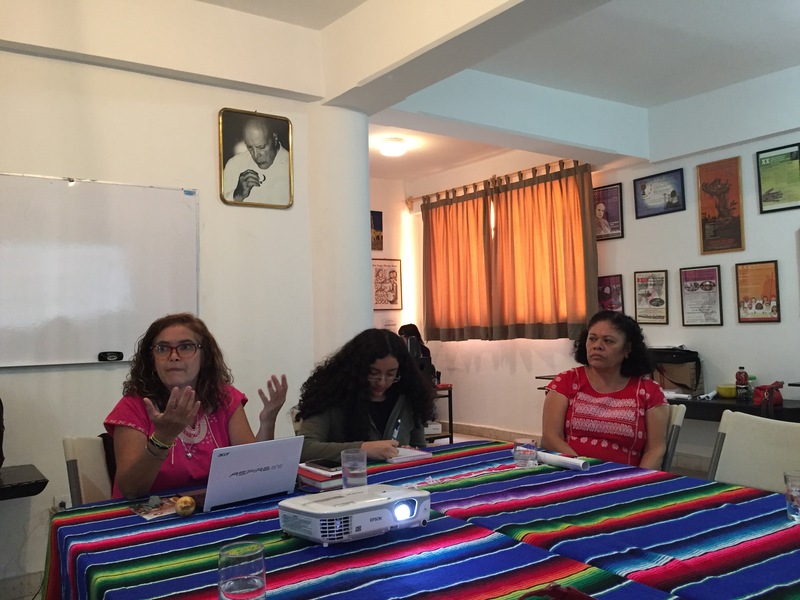 The foundation’s prize has been awarded 26 times so far with the intention that the honorees become better known and also to give some protection by publicizing their work. 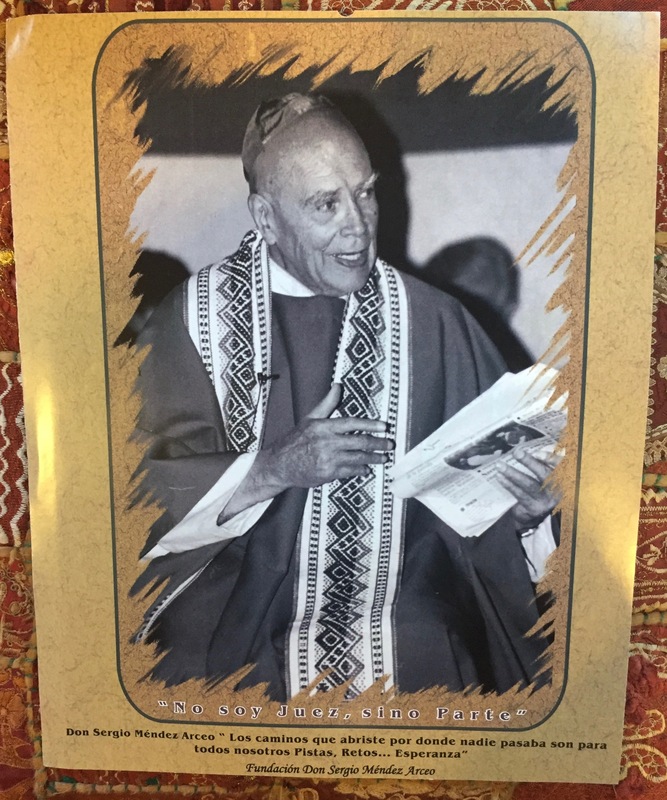 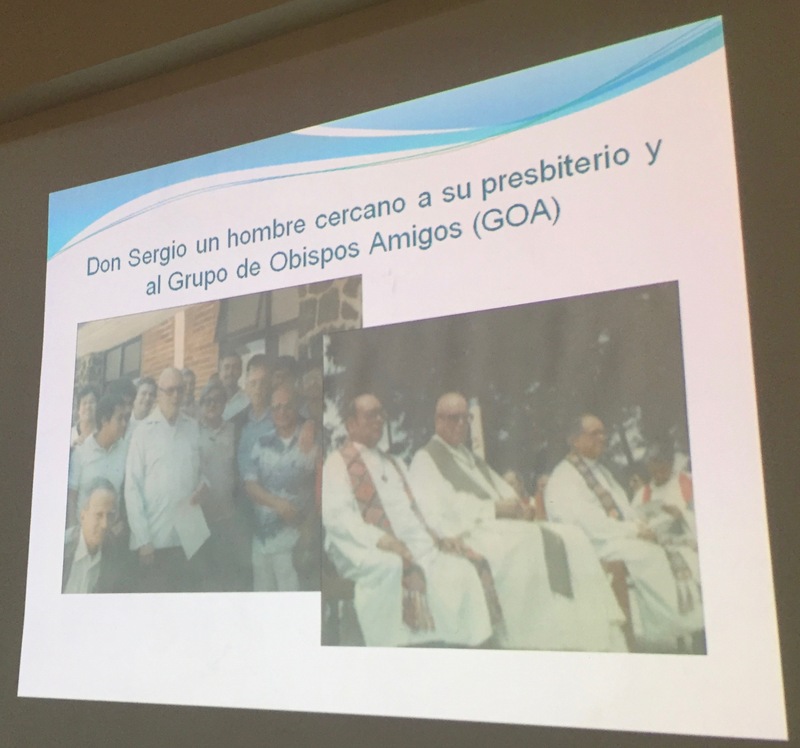 We learned that Don Sergio’s work to promote the “preferential option for the poor” was as part of the Grupo de Obispos Amigos (GOA), in collaboration with Saint Oscar Romero of El Salvador. 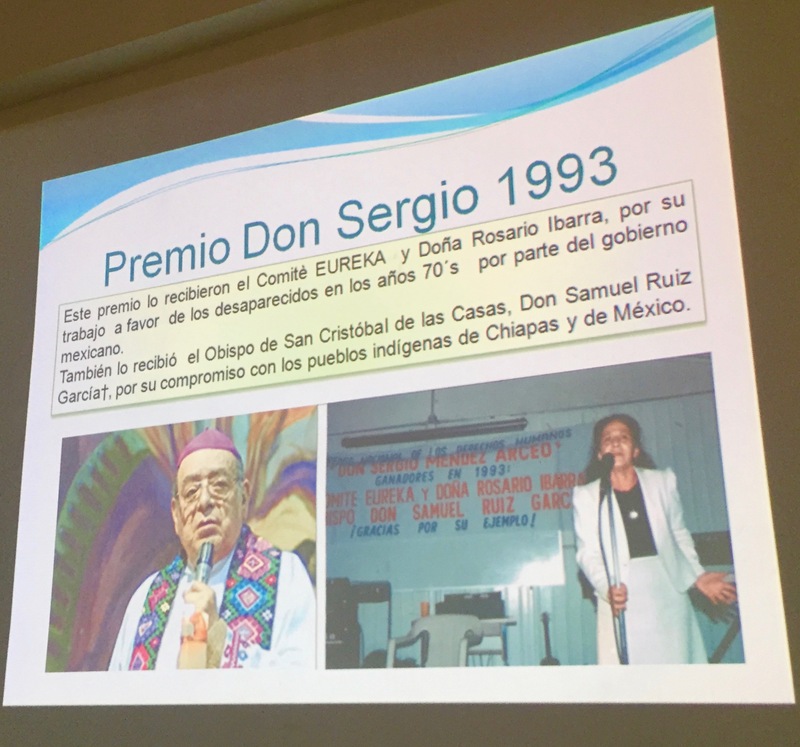 A digital archive of Don Sergio’s papers is being made available by the University of Mexico City in the next year. 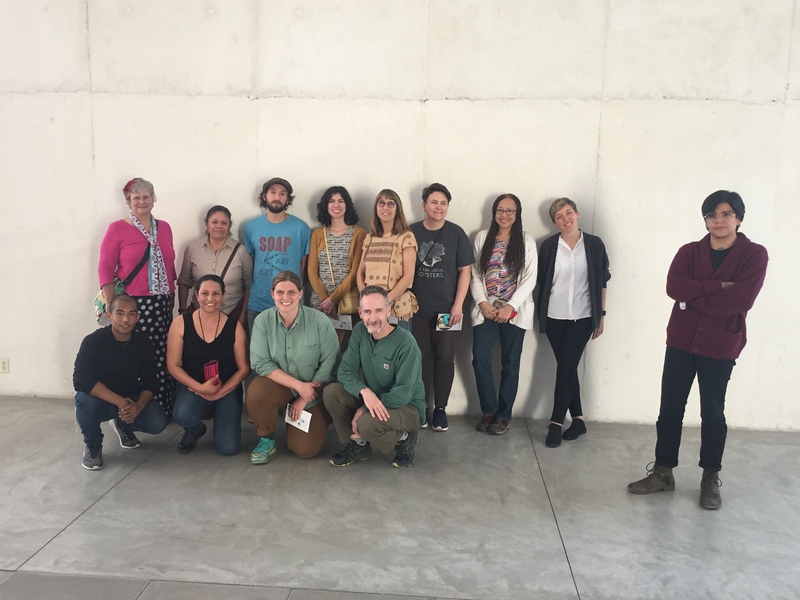 In addition to improving our Spanish, hearing lectures, and visiting social justice institutions, our group also toured a variety of museums, including the impressive modern Museo Morelense de Arte Contemporaneo Juan Soriano. 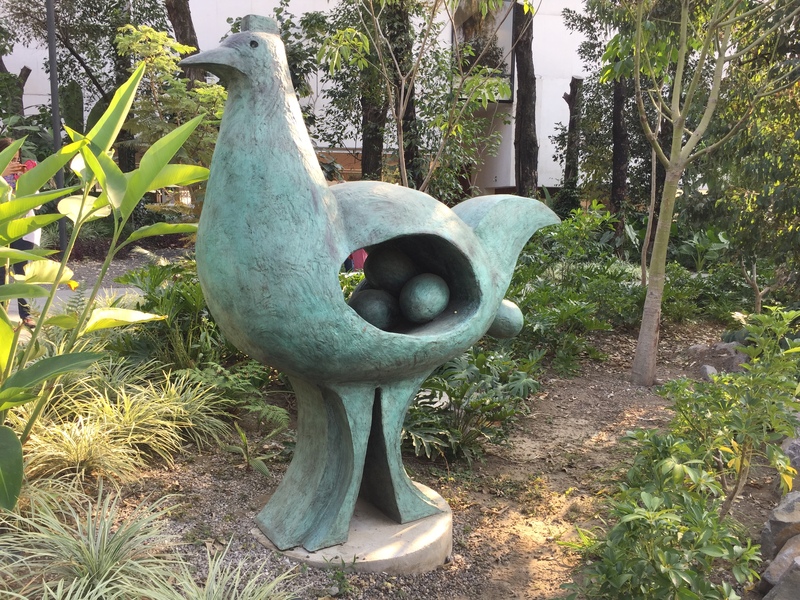 Unfortunately, the collection was closed but we were able to see an exhibit on art and technology and to walk through the extensive sculpture gardens featuring monumental bronzes by Juan Soriano. 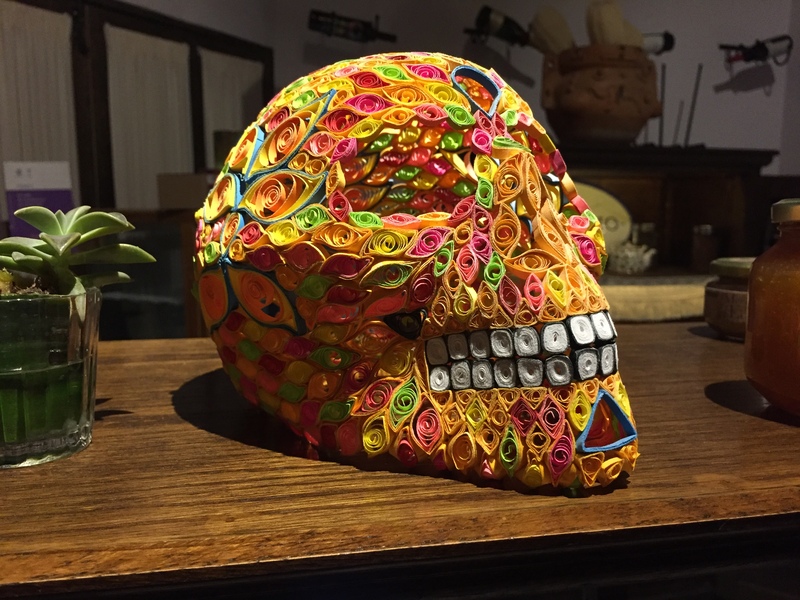 The 2017 computer-animated Disney movie Coco was referenced in a variety of ways during this trip. 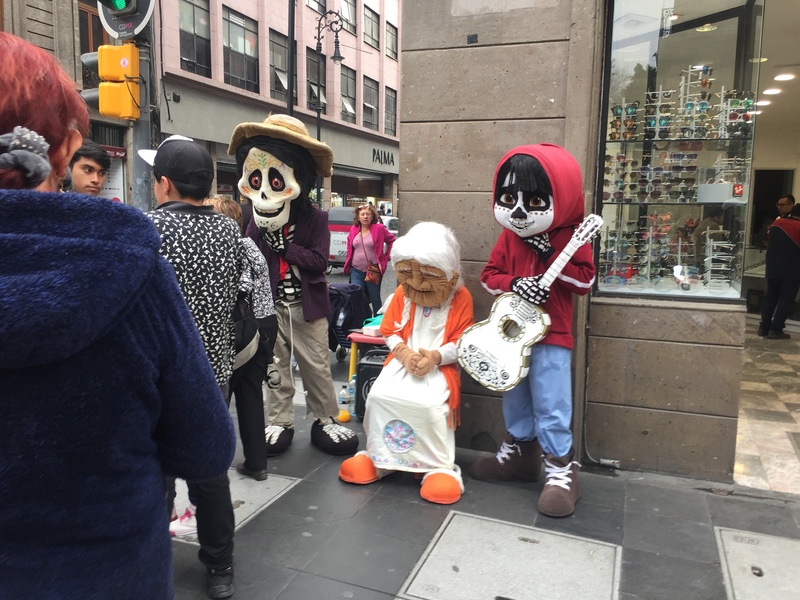 We actually got to watch the film in Spanish during on our bus ride to Mexico City and while there, we saw performers in Coco costumes on the street. 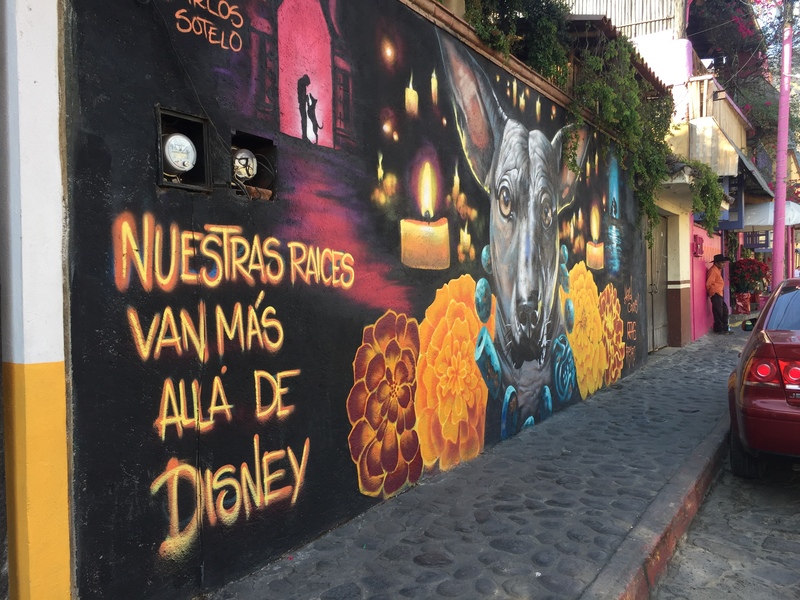 In the mountain town Tepotzotlán, there was a large wall mural featuring the black dog from Coco and saying “Nuestras raíces van más allá de Disney” (or “our roots go beyond Disney”). 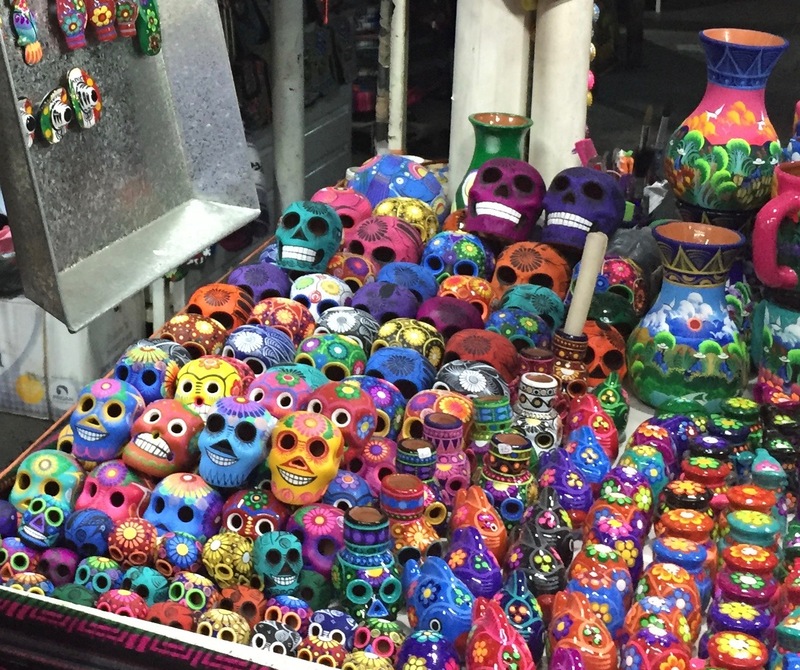 The Day of the Dead context of Coco was reflected in many crafts and designs. 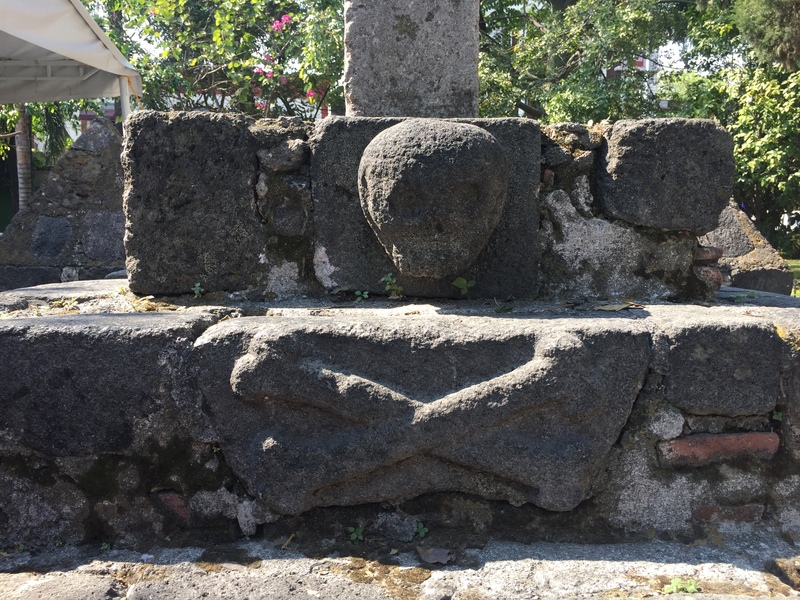 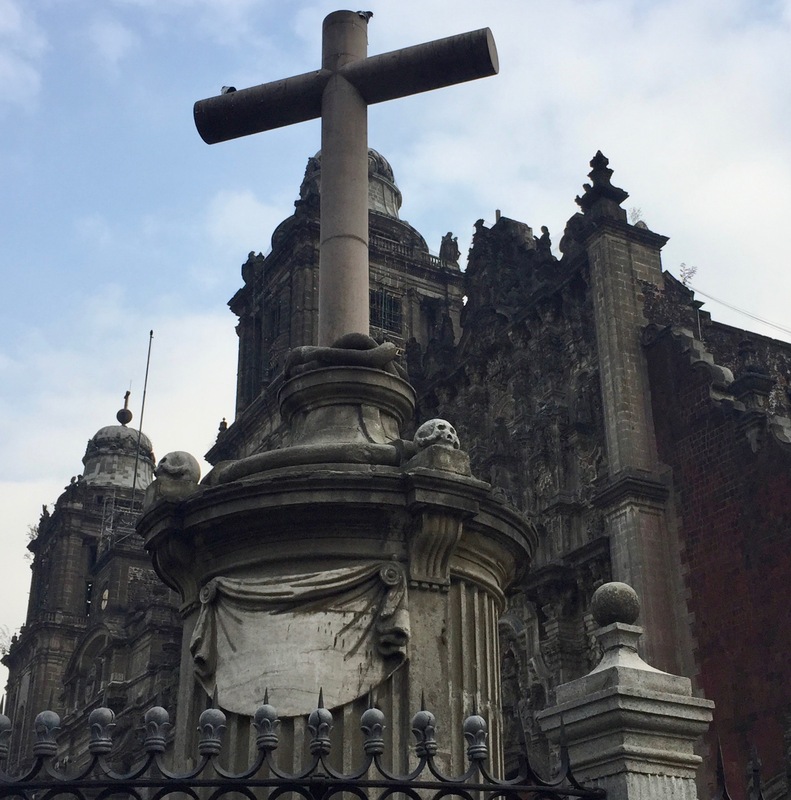 However, the skulls at the base of 19th century crosses outside the cathedrals in both Cuernavaca and Mexico City probably represent more a reflection on mortality or memento mori (Latin: “remember you will die”) than a reference to the Day of the Dead.